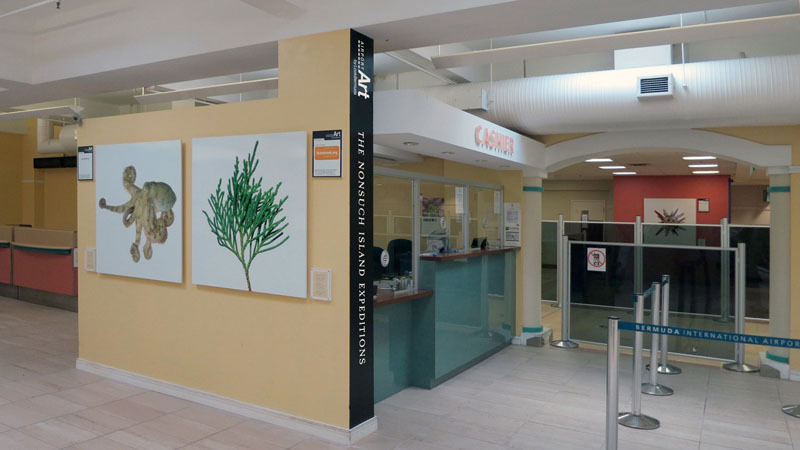 LookBermuda is officially launching the first phase of its Airport Art project, which will showcase large scale themed installations on open wall spaces throughout the L.F. Wade International Airport, designed to enhance the travelers experience. In this first phase, LookBermuda will focus on photographic installations that highlight Bermuda’s natural and cultural assets that will be produced, curated and installed by its team. 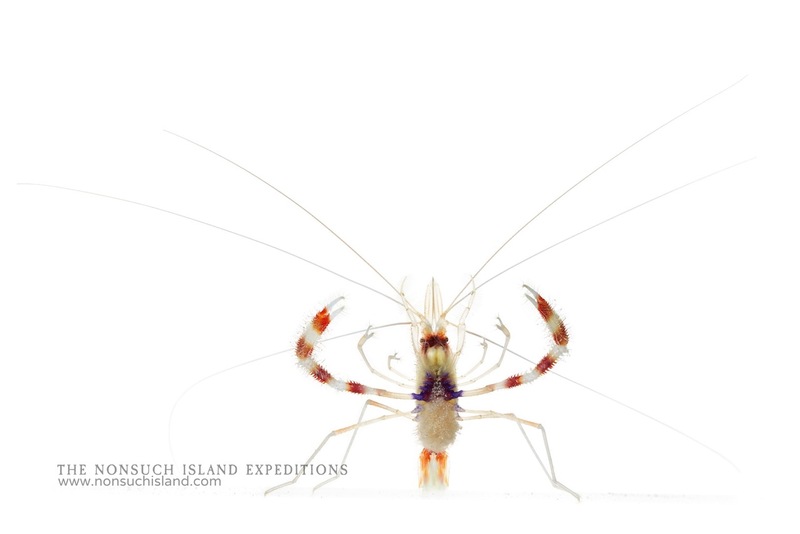 After more than a decade working on Nonsuch Island including producing a film documenting the Cahow translocation process, creating the award winning Cahow Cams and launching nonsuchisland.com, LookBermuda continues with its efforts to showcase Nonsuch Island and the groundbreaking conservation efforts that have literally transformed it over the past 50+ years. 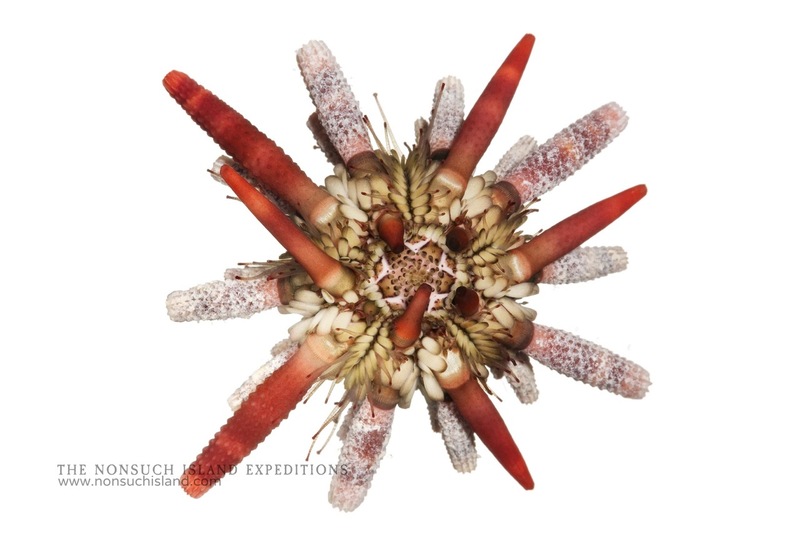 For the next phase it is launching “The Nonsuch Island Expeditions” a photographic biological survey which is a collaboration between the LookBermuda team led by photographer/filmmaker JeanPierre Rouja and National Geographic photographer David Liittschwager. 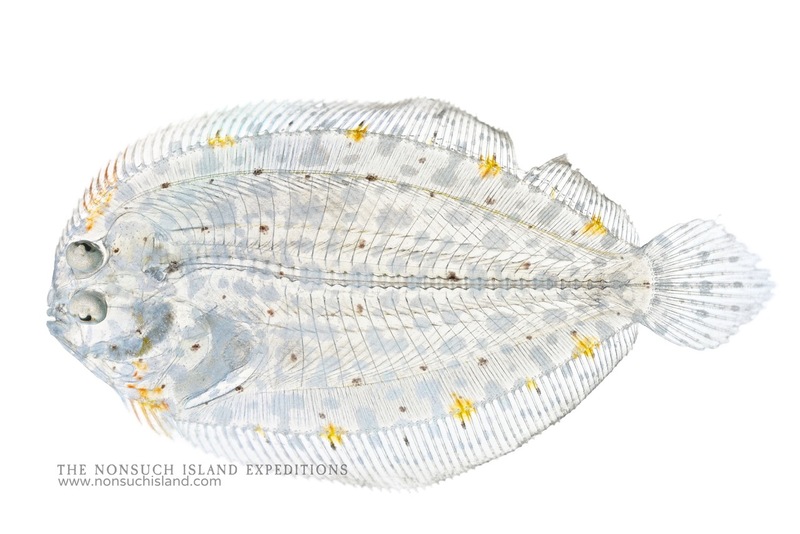 Mr. Liittschwager is known for his unique Biodiversity Survey photography and trademark “One Cubic Foot” projects which showcase the living subjects photographed against a white background in very high detail. 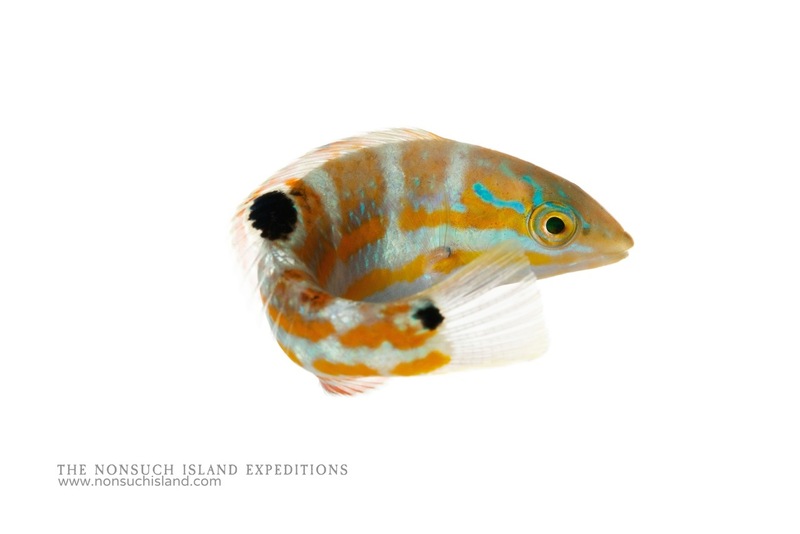 J-P Rouja said, “We had assisted David on another project and wanted to apply his process to our ongoing efforts to showcase Nonsuch Island. 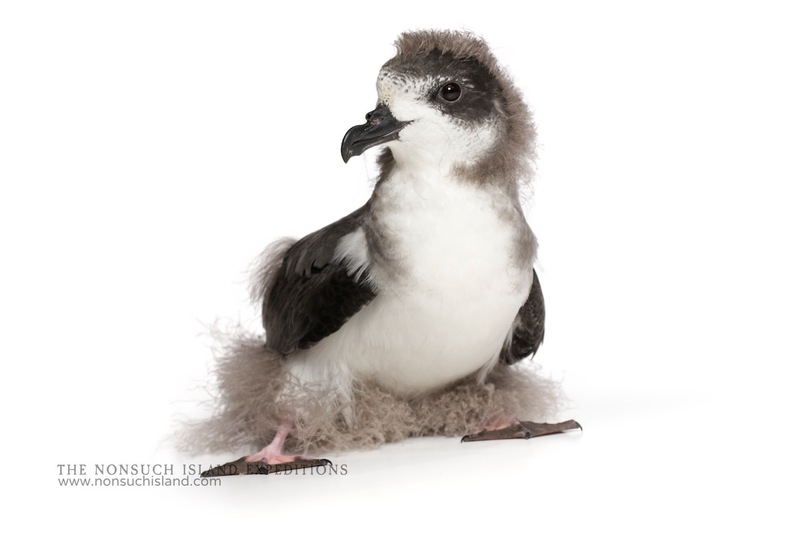 The shooting started with newly hatched Cahow chicks and has been expanded to include the biodiversity of the Nonsuch Island Nature Reserve and its surrounding waters. “Working with Terrestrial Conservation Officer Jeremy Madeiros from the Department of Conservation Services, our team including Marine Specimen Collector Chris Flook conducted three separate expeditions in 2014 on and around Nonsuch Island, in the process producing the first 180+ images of our unique flora and fauna. 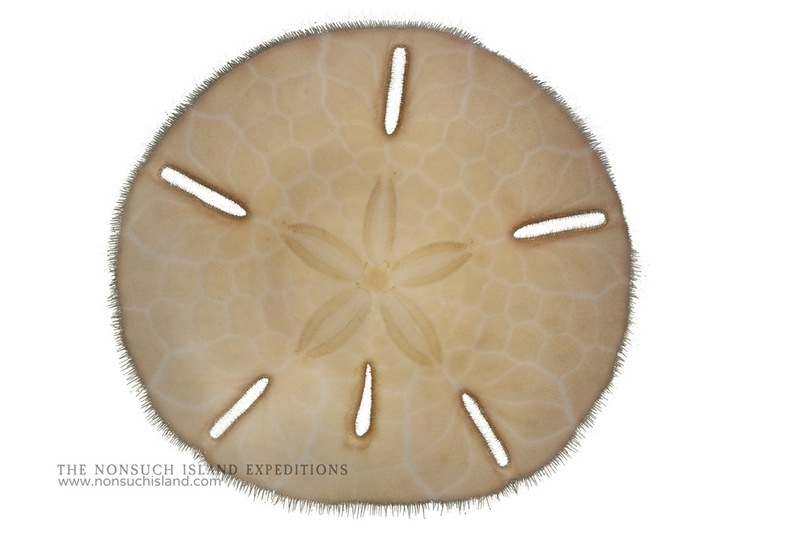 “We are using Nonsuch as a lens through which to document and showcase Bermuda’s biodiversity, photographing not only the endemic and endangered species which can be found there but also more common species found around Bermuda. 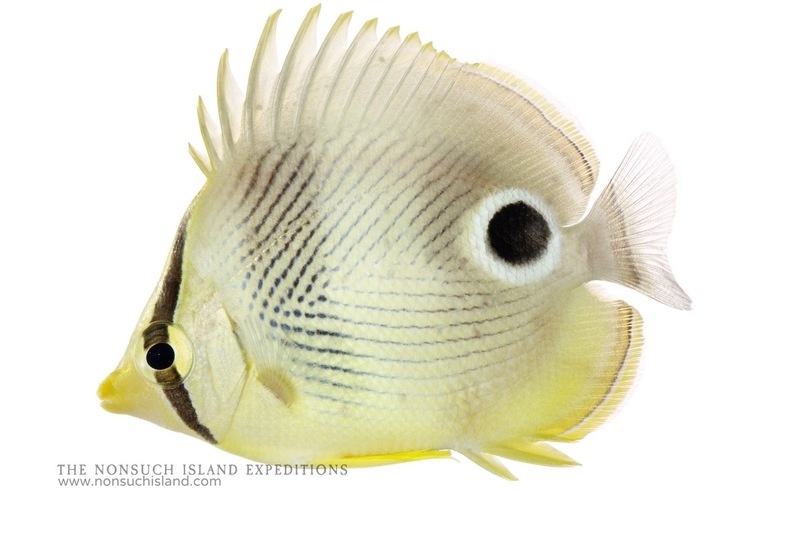 “All of this can be seen on the new website nonsuchisland.com which allows users to virtually visit Nonsuch Island which is otherwise too sensitive to accommodate the masses,” added Mr. Rouja. 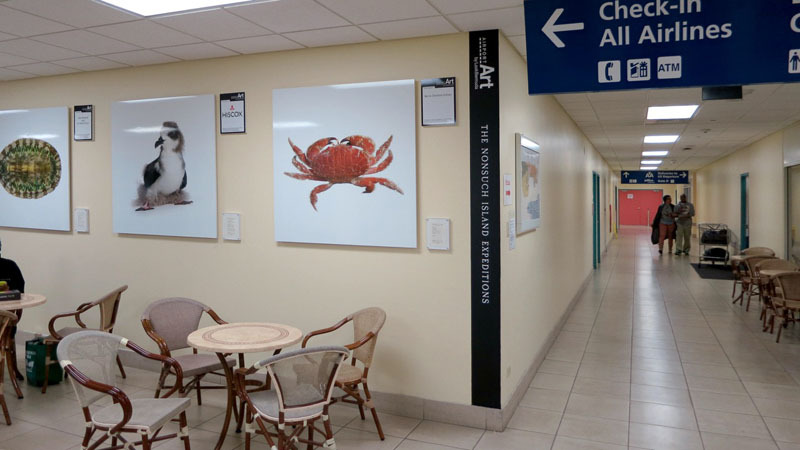 A selection of images from “The Nonsuch Island Expeditions” is the first themed Airport Art installation, with sponsored images being printed a minimum of 4ft x 4ft and installed in high traffic areas throughout the airport, each accompanied by museum type collection tags and sponsor details. The non-traveling public will be able to see the prints in two Mobile Art exhibits, the first as a mobile pop-up show and the second as an educational exhibit that will rotate throughout the schools along with accompanying curriculum and activities. “LookBermuda’s exclusive contract with the airport extends for the next several years and with the upcoming America’s Cup this is a perfect opportunity to showcase Bermuda in the best possible light. 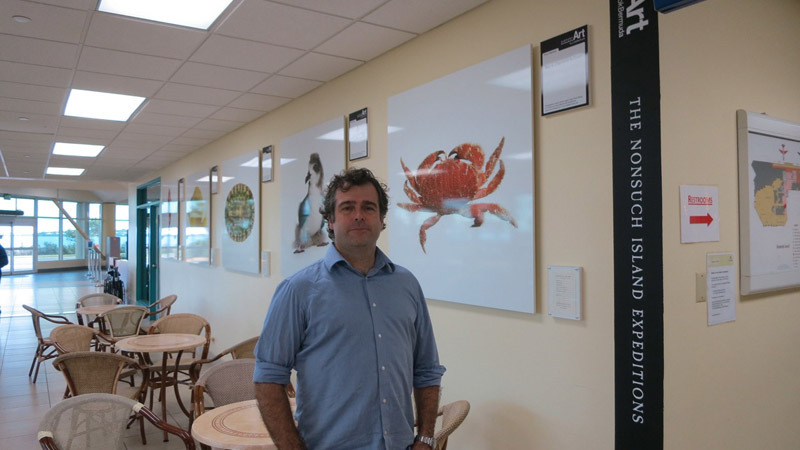 In parallel, LookBermuda is developing several other themes for the Airport with large scale scenic panoramic images by Jean-Pierre Rouja and underwater photography by Chris Burville being earmarked for some the larger open walls. One of the larger panoramic murals being prepared by Mr. Rouja will exceed 8 feet by 40 feet in the arrivals corridor. Beautiful pictures and a welcome addition to the airport! I would also urge the airport management to pay attention to the level of cleanliness in the upstairs restaurant/eating areas. It looks rather shabby and poorly maintained. Hopefully, the future airport renovations will correct this, but for now we can do better regarding cleanliness. These are AWESOME! What great work! The baby cahow is my favorite. Well done JP Rouja and team! Greenrock is proud to support these powerful images of our beautiful island home. We congratulate Look Bermuda on bringing this project to life for the enjoyment of all who arrive in Bermuda. I’m looking forward to seeing these photographs and think I’ll make a special trip to the airport just to have a look. Perhaps children (local or visitors) could be encouraged (somehow) to see how many of the photographed species they can see here in real life? Just goes to show that with some renovations and special consideration our airport can be improved. We definitely need a major overhaul of the airport, but I really hope they don’t go ahead with plans to build a new one and knock the old one down…that is just going to cost so much money and run so over budget and time!